When folks gathered for the October (Cincinnati) Roundtable there was a palpable buzz because the topic was something that seems to surround every facet of our daily lives both personally and professionally — Social Media. People are either using social media themselves, or they observe the various messages shared in the news or online. 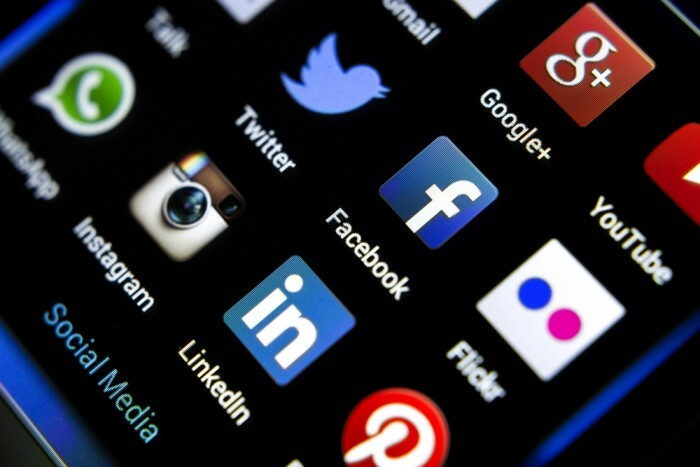 There are still many people who aren’t using social media, including HR practitioners. This session wanted to look at this reality in a positive way: How can someone effectively engage and communicate using social media? How do you view social media? How should companies use/engage with social media? What can you do to be personally engaged with social media? 1. How do you view social media? From your phone — I love sarcastic answers! Yes, the most common place to “view” social media is your phone. It’s astonishing how much time people are on their phones. Don’t take this the wrong way. It’s our reality. We’ve switched from desktop screens to those in our hands. Therefore, the access to social media is literally in the palm of our hands. It’s a great way to keep in touch — This is true. Most social media platforms are very interactive. You can post and also observe what’s happening in your life and the lives of others. In many ways, it’s made the world smaller because you can connect with people around the globe at the click of a button. It’s a necessary evil — It only took three answers to launch this sentiment. The issue of reluctance is a fact for many. They will acknowledge that social media exists and also complain about it within the same sentence. There may be several reasons for this feeling of reluctance. At times, it does seem “forced” upon people who may not want to be involved. You get out as much as you put in — Even though this answer could be used to describe most life activities, it’s especially true with social media. You can “lurk” and just watch what others are saying. You can comment and respond if you choose. You can also create content to share with others. There’s a fairly wide spectrum to move around on when it comes to engaging with social media. It’s a way to build your personal brand — This can be a very healthy aspect of social media. There are risks in being visible and vocal because others will respond in kind. The key to any on-line brand is how you approach it. If you’re constructive, consistent and positive, your “brand” will be as well. The opposite is true of course. Approach is the key. It can be your best friend or your worst nightmare — The biggest challenge of engaging on social media is that people are reacting to a very small sliver of content or opinion. They won’t take the time to ask what that sliver means. They will just react. You should know that this is a fact in using social media, and something to consistently be mindful of. 2. How should companies use/engage social media? Attract great talent — This may be the largest aspect of companies using social media. It’s the old adage, “Fish where the fish are.” Companies need to be visible, vibrant and relevant to attract people to join them as employees. Most candidates look your organization up online through social media versus your web site. They want to see where you’re active, what others say about you, and how you represent yourself. If you’re not active on platforms, you may lose great people because they want you to be active like they are. Communicate your brand/Tell your story — Just as it was mentioned earlier for someone to personally develop their brand, the same is true for companies. Customers want to communicate with companies through social media, and they will without asking you. More and more people will instantly share their experience working with your firm whether it’s positive or negative. Your company should consistently use social media to push your brand out to consumers. Don’t just sit back and react. Engage with your employees — Much of the initial trepidation around employees using social media has shrunken over time. This is good because they’re using it whether you have a policy against it or not. Taking a positive stance to communicate and engage with your people is a great way to build culture, take in ideas and grow internally. Employees will be more engaged with you if they truly see that they’re connected to you. Produce content — This is happening more and more. Companies will have their own blog that produces content around the area of work where they’re involved. This isn’t just sales and marketing. They’re adding content to improve their industry. It’s adding depth to them as an organization because it shows something past the commodity and transaction side of business. Make it a part of your business strategy — Companies are seeing the power and reach of social media. Many are adding social media related roles within their company and they aren’t tech companies. Since social media is so prevalent, it makes sense to have a strategy that defines your presence and how/where you plan to engage with your customers, your audience and the business environment as a whole. 3. What can YOU do to be personally engaged with social media? Take time to build your understanding — Instead of fearing the unknown, get to know what the various social media platforms entail. See what works for you and try it out. Don’t jump all in because you’ll just get frustrated and swallowed by the sheer pace of the platforms. Stick with what feels comfortable for you and skip the peer pressure from others. Wherever you’re engaged, be visible and active — If you choose to be on LinkedIn, then be active there. If it’s other platforms, then do the same. Social media is honestly a method to communicate at its base level. If you remember that, then some of the mystique of social media fades away. We’ve always been communicating to each other. The biggest difference here is that you’re not standing in the same room when it occurs. See where you are on the 90-9-1 pyramid — There’s a model regarding social media called the 90-9-1 pyramid. It states that 90% of people on social media engage by watching and observing. 9% of people comment or participate every so often. 1% are very active and comfortable with social media on a regular basis. The challenge is to not compare yourself to the 1% who seem to be constantly present. They’re not the norm when it comes to social media usage. They’re just the most visible. Be a curator of content that matters to you — There’s so much content being produced every day. It’s impossible to keep up with it let alone see it when it’s published. Steve recommended that you get the Feedly app on your phone and also online on your computer. You can use Feedly to subscribe to blogs that are interesting to you and have new content sent directly to your “Feedly.” This way you cut down on email subscriptions and you can go out to Feedly at your pace and when you choose to read content. The Roundtable ended without a long list of “must haves” and “sites to join” because the most effective way to participate in social media is by making intentional choices that fit you individually.